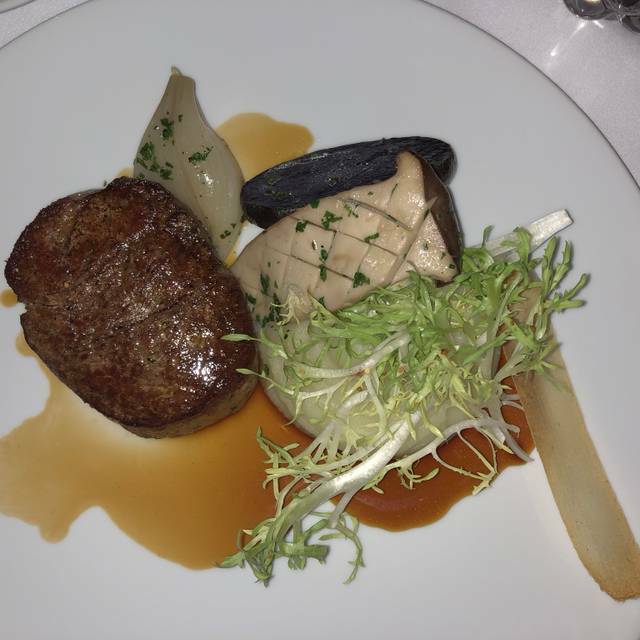 Dining at the Bearfoot Bistro is more than a meal: It"s a culinary journey. It's the combination of a familiar flavor with a new technique, a local ingredient given an international twist. The Bearfoot Bistro understands that every celebration is unique~ that is why our catering and event plans are individually tailored to your specific needs. From intimate at home dinner parties to casual get togethers, corporate receptions to the wedding of your dreams, Bearfoot Bistro Catering is committed to working with you to create the perfect event. Jazz pianist Cameron Chu plays nightly. Saturday nights the Champagne Lounge lights up it"s disco ball, fires up the DJ and provides a sophisticated venue for post dinner drinks and dancing. Bearfoot Bistro felt like it was trying too hard. The interior and exterior need an update. Odd art choices that seemed about a decade old. 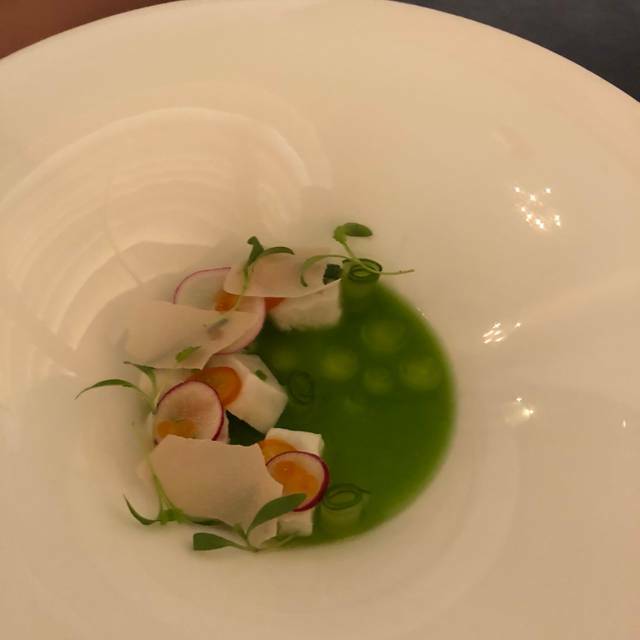 The set menu also felt stuffy - why do I need to do three courses? Drinks were good if overpriced. It felt like it was attempting to be something it was not. I would recommend Araxi over this as a high end choice. Both pricey, but Araxi less stuffy and pretentious. Over rated and over priced! Unfortunately the very loud family atmosphere detracts from what would be an outstanding experience. The description says price is C$51 and over. This is incorrect. Dinner is prix fixe C$108 per person plus C$6 per person for water plus C$5 for bread basket. That’s the minimum. The service is very attentive; so many men in jackets walking around. I guess they have to pay them so the price reflects this. Maybe good for a date. We came with our kids and were shocked by the price. Disinterested service .Cheesy upselling by the wait staff given the chefs skills. We expect sommelier to give us actual selection choices instead of confirming “white with fish and red with meat”. Given the scope of the wine list and the self professed culinary experts we expected. We have dined there several times before in previous years. We will not dine there any more. We both got the chefs tasting with wine pairings and it was one of the best meals of our life. FYI, one of the other best meals of our life was at Barefoot in 2010. Booked the table 2 months in advance and ended up in what felt like an after thought/overflow area. Food was delicious but a bit over priced. We took 2 other couples for a special dinner. We had been to Barefoot for NYEve and were super impressed. But this dinner fell short. Our waiter lacked presence, seemed rushed and set on his opinions as compared to making suggestions based on our guests’ personal tastes. While the food was good nothing stood out as fantastic (our NYE dinner was creative and delicious). 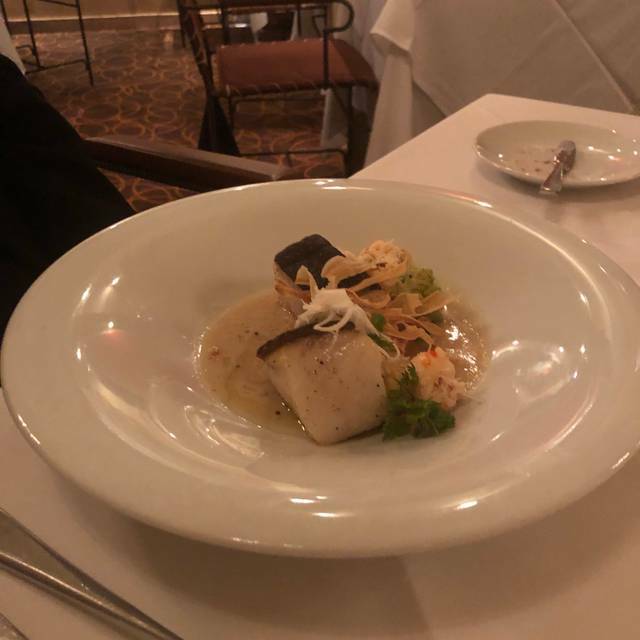 The Cod with seafood was underwhelming, especially for the up-charge, but the cauliflower soup was creative (could blossom with additional seasoning). We hope our visit was a glitch, not a trend, and we’ll be back to try again. 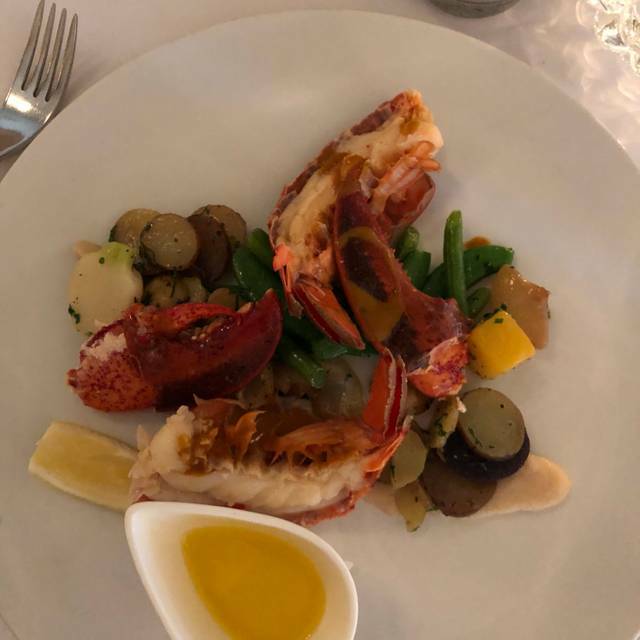 The restaurant is very good, but it charges as if it were a three star Michelin, that’s a rip off, does not have a menu as good as that. It is an experience to know, but not to return. I was celebrating my wedding anniversary and they were not gracious in providing anything special. For lack of finesse and very expensive price I will not be returning and also would not recommend. The atmosphere and dessert were wonderful but the main courses left much to be desired and our server was rather crass, using anatomical words to describe one of the wine decanters. It cheapened the dining experience and was not appreciated. line it seems to be a trend with this restaurant. Good food and service - pricy for reasonably good food but might just be the whistler overhead. The restaurant had a flood and closed. Never bothered to call us. This was not one of the best restaurants we have been too and certainly for the expense we expected better. From the moment you arrive, you are not made to feel like this is going to be a special event- a symphony of food and wine. Instead, the food is average and a lot on the menu is ‘extra’ cost. The sommelier is good. The cellar is worth looking at and then he can brag how much the last bottle was they sold and how much the person that bought it spent at the restaurant that night. Overall it’s a nice restaurant but the value is not there. You’ll enjoy it and be disappointed at the same time. Went to Bearfoot Bistro to celebrate an anniversary. Overall perfect experience. The food was delicious, atmosphere great and our server Ronni A provided us with amazing service. She was very attentive and catered to our needs. My boyfriend had the cauliflower soup, bison and eclair for dinner. I had the oysters, lamb and lime tart. My lamb was the best lamb I’ve ever had. Melted in my mouth. 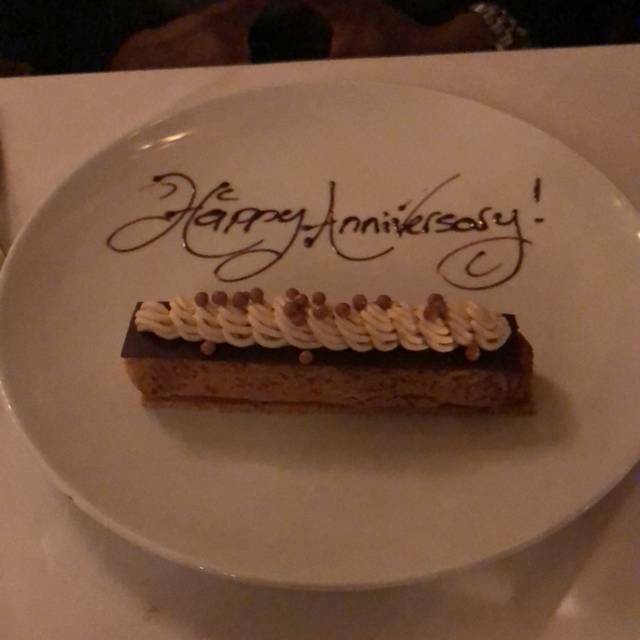 To end of the lovely evening our desserts came with “Happy Anniversary” written on them. Thanks to everyone for making the night special! Food was beautiful but far too rushed. We had to ask for our desert to not come so quickly. No soothed we finished each course the next one was being served. A little too pretentious and focused on creating an experience. It would better just to have unfussy and good service and great food, without the restaurant telling you how great it is. The service was excellent as were the meals. The venue is dated and atmosphere for fine dining” spoiled by the vodka bar. Experience isn’t extraordinary and doesn’t justify the price. Excellent food and a fantastic atmosphere. We could not fault the menu, the quality of the dishes and lovely live piano. Absolutely superb. However, it was completely let down by the main hostess. Very cold, unwelcoming and unfriendly. Even the most discerning Mayfair restaurant goer would have been surprised at the lack of sincere hospitality. 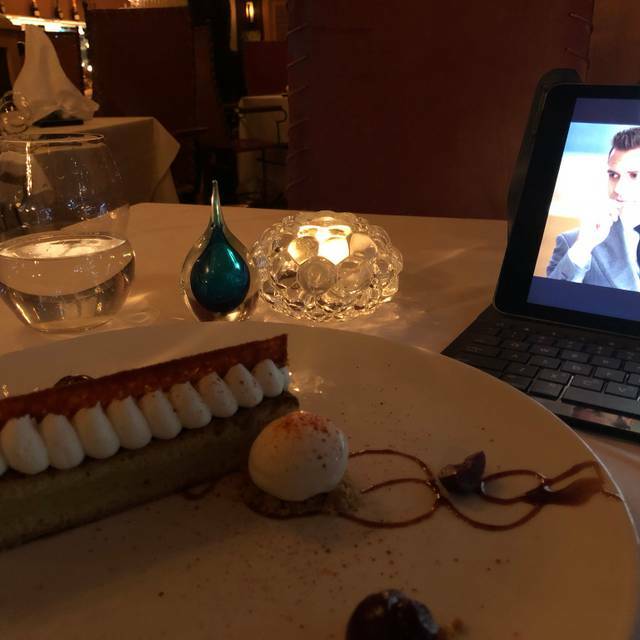 I must point out, all other servers bringing dishes to our table, particular the dessert host, the cloakroom attendant and reception offered exceptional service and friendliness. One other less significant let down, were the toilet facilities, clearly the restaurant cannot make amends for this due to being located in a hotel. However, the standard of the toilets do not go hand in hand with a 5* and £550 (2 adults and 1 child) restaurant experience. All 3 courses were served within 45 minutes absolutely ridiculous we weren’t offered coffee and he threw a few chocolates on the table for us at the point of paying the bill which was in excess of $490 for 2 people. 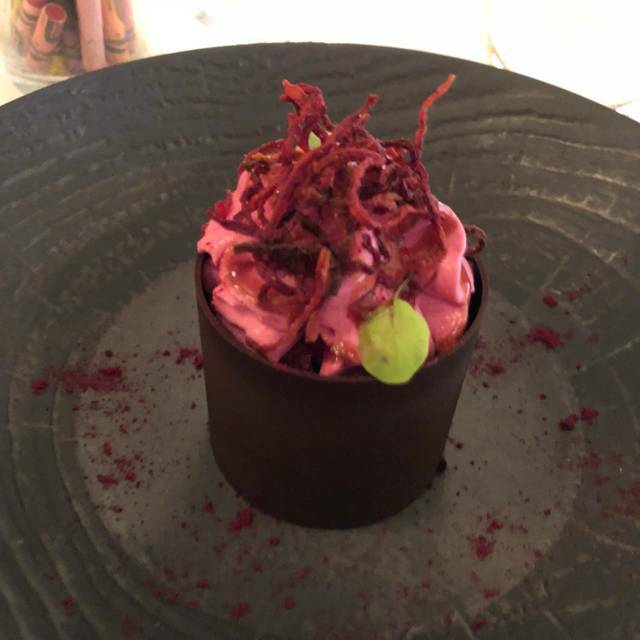 Overall shocking dining experience one we will never repeat and we have already advised the hotel that we stay with never to recommend as they had tonight such poor standard for a high end restaurant . Food was certainly tremendous but entire experience way overpriced by a huge margin. Everything was great except we were seated next to 4 children and they all played on their phone. Shoot up fort night our entire dinner. Ruined our quiet romantic dinner. Food was great . Wine was great! Fantastic meal! Even the kids enjoyed it. Staff was very friendly and knowledgeable. Made a nice family memory tonight. Nye dinner was set and over priced. Food was average at best. Sad, because last year it was amazing. Great evening celebrating family birthdays. Lovely food with excellent service although more of a special occasion location due to cost. Great extras with champagne sobering. 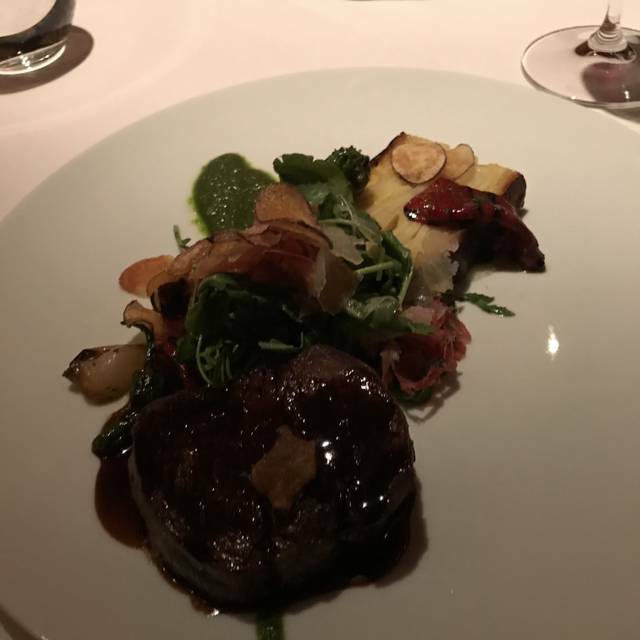 Very overpriced for what it was — mediocre food masquerading as high end. If the price was lower it’d be OK. The price and pretension made it an abysmal experience. Lo excepcional fue sin duda el servicio. Los platillos de muy buena calidad y sabor. Tiene un menú poco común, ideal para paladares curiosos. Excellent ingredient forward tasting menu in a VERY dated, loud space. Interesting and eclectic restaurant, though the food lacked flavor and was expensive. Maybe another dish would’ve been better but the Ono and cauliflower soup were both under seasoned.